My staff and I are always eager to find ways to serve our community. Whether it’s mission trips to Panama, Guatemala or Kenya or work that keeps us involved, contributing our time and expertise . This is why we participate in the Mission of Mercy (MOM), an annual event sponsored by the Wisconsin Dental Association. Last year two members of my staff and I traveled to Weston, Wis. near Wausau for the Association’s third MOM. 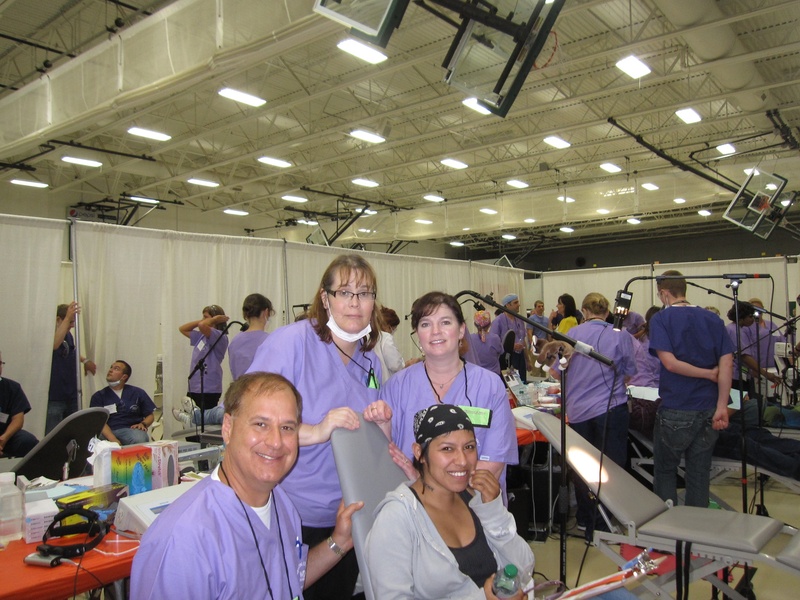 Volunteers provided $1.12 million in charitable dental care to over 1500 children and adults over just two days. WDA dentists, dental hygienists, medical personnel and assistants conducted over 2,000 patient visits. Non-dental volunteers kept us going with fantastic organization and support as well as a friendly welcoming committee to all attendees. This year we are very proud to attend again. The event will be in Madison on June 29 through 30 and we anticipate an even larger crowd. Estimations this year are for 3,500 patients and MOM is increasing the capacity to accommodate them. We feel that it is part of the responsibility of groups such as the WDA Mission of Mercy to help people in poverty and the underserved. Along with providing surgical and dental care, WDA Mission of Mercy also attempts to educate the attending patients on the importance of good dental habits and preventative care, as well as the dangers of sugary foods, beverages, soda and tobacco on dental and overall health. At Wagner Oral Surgery and Dental Implant Specialists our dedication to service extends to patients who come into our office as well as those we reach out to. And no matter the satisfaction we gain from our volunteer work it is those that benefit that gain the most. We will continue to serve our community to the best of our abilities and encourage others to be involved no matter how little they think they can do. Every little bit helps! For more information on WDA’s Mission of Mercy you can visit their website.